Now that self-publishing has taken the literary world by storm, young writers can take advantage of this option to publish their first book—regardless of their age. In fact, hundreds of kids and teens are choosing to self-publish every year! However, fledgling writers still need a parent or legal guardian to help them successfully navigate the self-publishing process. Here’s how you can support the publishing efforts of a young writer! Self-publishing is a complex process. Young writers may not understand the time commitment and technical aspects of self-publishing. Just because the writer isn’t an adult doesn’t mean that the book should look sloppy and amateurish. Manuscripts should be edited, revised, proofread, and properly formatted before self-publishing can begin. Does your six-year-old (or even sixteen-year-old) have the necessary dedication and patience to see the project through to completion? A book needs an audience. Will this book be presented to select friends and family only, or does your child hope to reach a wider audience? Keep in mind: You may think your youngster has written a masterpiece, but it’s just possible you’ve been swayed by your affection for the author. Will readers who aren’t the writer’s proud parents, relatives, or friends feel the same way? Be sure to discuss with young authors the effects that becoming a “teen author” could have on their lives. If the book is a success, will the attention be too much to handle? And what if the book is a flop—or ridiculed? Would the writer be able to deal with the disappointment? The work doesn’t stop at publication. For a book to have any success with the public, it needs to be promoted. And who’s going to be pitching that book while your young author is studying for midterms or staying late at band practice? Probably you. If your underage writer does handle any of the publicity work, you’ll most likely have to be right there as well, handing out free bookmarks and chatting up potential buyers. There are legal requirements that must be met. Remember, the author will be under the legal age of eighteen and therefore unable to enter contracts with publishers (or sites like Amazon). So you must be the author’s legal guardian if you intend to help with the self-publishing process. And you might want to familiarize yourself with copyright law and how it may affect your situation. Consider building up publication credits first. Here’s the same advice we would give to our adult clients: Before self-publishing, young writers should submit work to journals and anthologies that are geared toward their age group. If your young author simply wants to publish a few books, office supply stores (Staples, OfficeMax, etc.) offer inexpensive, easy options for printing and even binding books. There are also online self-publishing tools specifically for younger writers. Just like adult writers, young authors thrive on positive feedback and the thrill of being published. If your fledgling writer is ready to take on the demands of self-publishing a book, offering your help and support is one of the best gifts you can give! 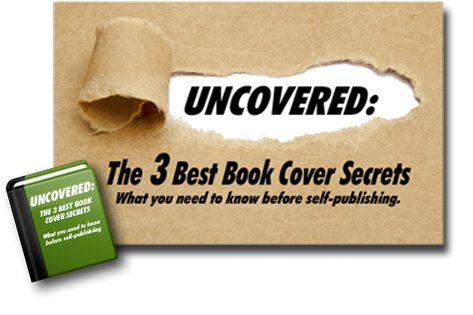 QUESTION: Do you know a child or teen writer who’s interested in self-publishing a book? My first self-published “book” was 44 years ago. I wrote a series of 9 short stories-not 10, mind you—and my brother helped me “publish” it. We put all my handwritten 3-hole punched pages between two sheets of construction paper and tied it all up with some ribbon. I hand wrote the cover. Things have come a long way since then.